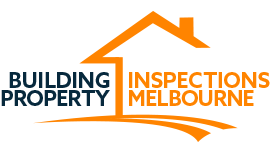 To arrange an inspection, all you need to do is book online here or call 0438 280 420 and we can be there for an appointment from the very next day! We contact the estate agent on your behalf to confirm and then conduct a thorough, all-inclusive inspection, accessing all areas of the building or property. As well as receiving a detailed report complete with photographs, we will also be able to discuss the results with you by phone immediately after the inspection. The report will include photographs, and the results of all areas inspected, including external, internal, roof and roof void as well as sub-floor areas. Book online here or call 0438280420 to arrange a next day appointment. We contact the estate agent on your behalf to confirm the appointment. We conduct an all inclusive property inspection and access all areas of the building / property. Results will be discussed with you by phone immediately after the inspection. You will receive a detailed report easy to understand with photos. The report includes all areas ie external, internal, roof, roof void, sub floor.